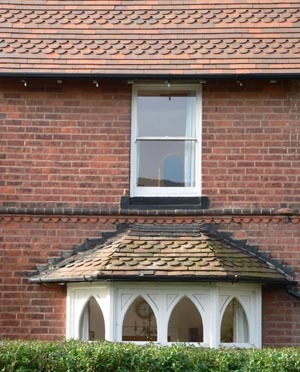 The owners of this property have been restoring it professionally in stages for the past ten years. This year it was the turn of the main roof. 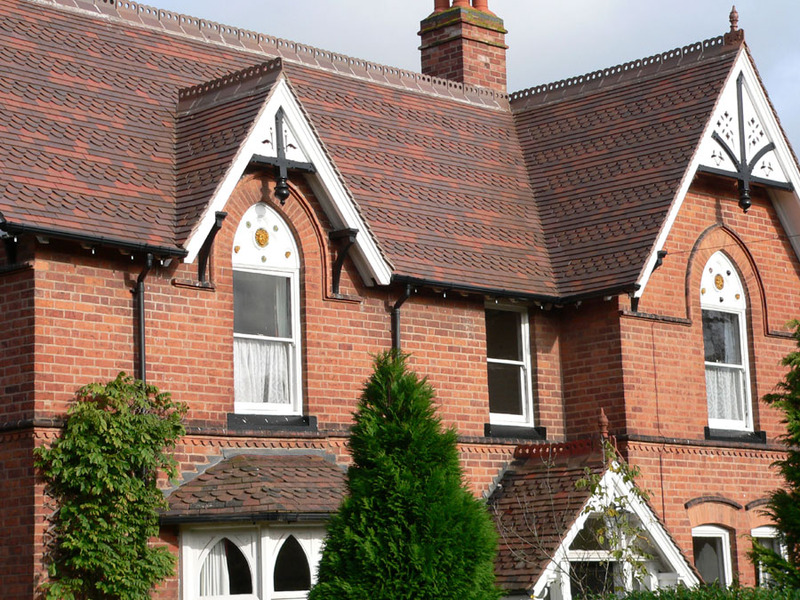 This classic Victorian suburban family house was built in 1840 by Braziers a quality house builder in Bromsgrove, Worcestershire. This year's project was the renewal of the main roof. Geoff Hatfield a local builder of wide ranging skills and experience, was, as always, entrusted with this work. The original high specification is illustrated by the decorative brickwork, unusual window frames and patterned timbered gable ends. There are even unusual glazed ceramic heads set into the panels above the windows on all elevations. 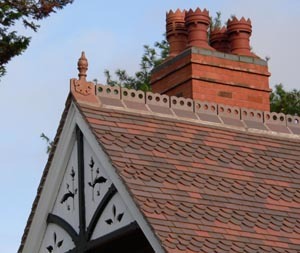 The nails in the existing roof had failed and the entire main roof was replaced with matching tiles to precisely replicate the original roof. 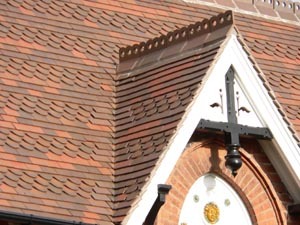 Several different combinations of colours were tried in panels before achieving perfection by mixing Brown Brindle and Country Brown tiles in a ratio of 2:1. Because they are natural burnt clay colours they blend perfectly without appearing contrived or artificial. 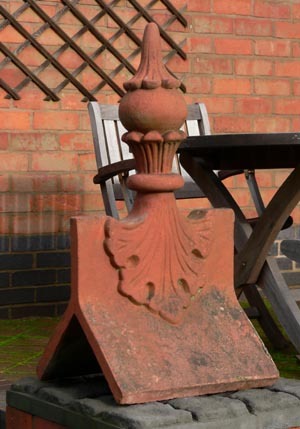 Replacement finials were made by hand to exactly match the sample provided, Ornamental ridges were also made by hand to match the example provided. Just how successful the restoration has been in reproducing the colours and pattern of the original roof can be seen by comparing the new main roof with the original low level bay roofs where restoration will form part of a future phase.